5 Seedlings. This crinum is native to tropical areas of Asia. 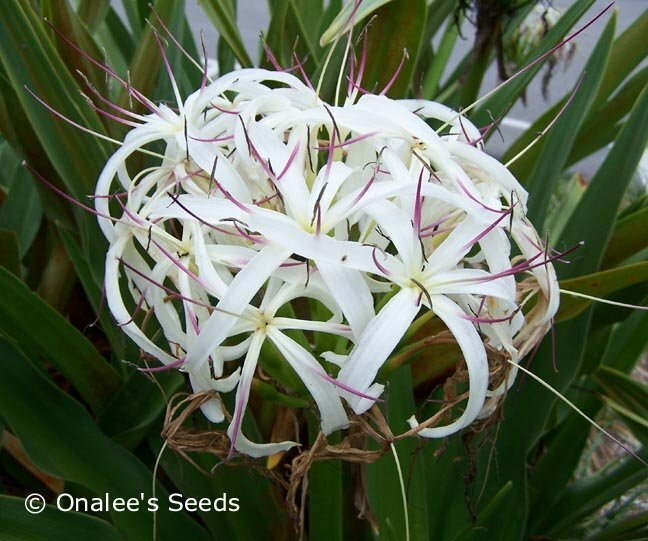 It is now a favorite landscape plant in Florida, the gulf coast, California and other warm climate areas. Can grow to 4' high and 5' wide. 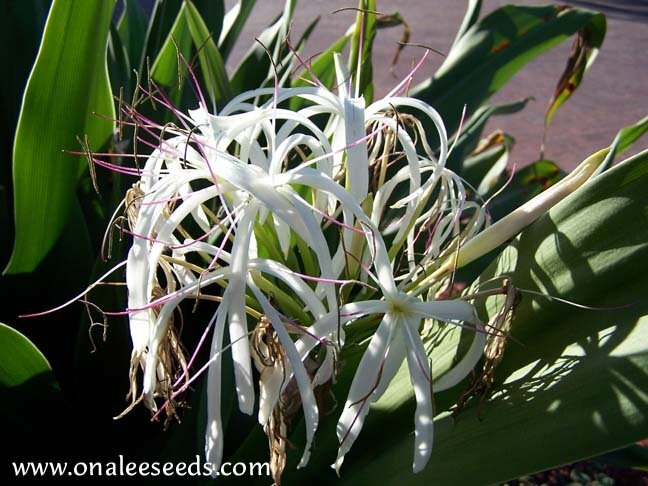 Use the Grand Crinum to create a tropical mood near the pool or patio. 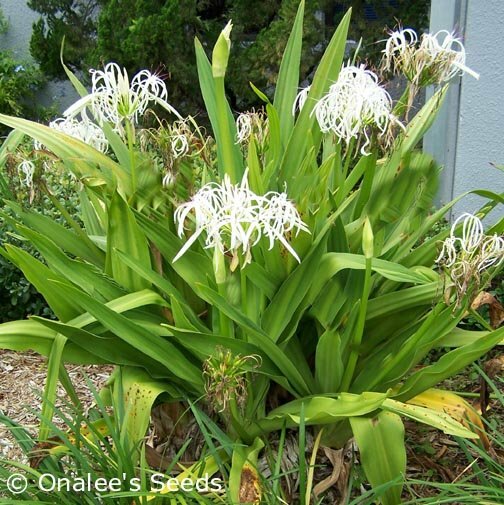 You are buying 5 (five) Giant/Grand White Spider Lily Plants (Crinum asiaticum). These are seedlings ranging from 8-12 tall and are about a year old. These will take 3 - 5 years to reach blooming size, depending on climate and care. Buy more and save - see drop down box for discounts!